Introducing PX: the next-generation noise-cancelling wireless headphones that intuitively respond to you, for a natural and seamless listening experience. Bowers & Wilkins has made a few different wireless headphones, but the PX is the company's first headphone to feature both Bluetooth and noise cancelling -- and it's actually the company's first noise-cancelling headphone of any kind. 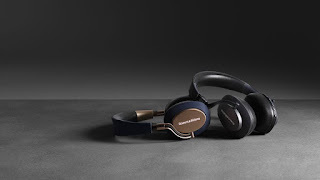 PX headphone Real World Listening features include Environment Filter and Voice Pass-through features. Environment Filter noise-management is optional and can be simply enabled or disabled via a button on the headphones. The Voice Pass-through feature enables external sounds, such as conversation or safety announcements, to be heard clearly without any need to remove the headphones. Environment Filter and Voice Pass-through are enabled via the PX Headphone iOS and Android app available for free download. The app also enables headphone characteristics to be adjusted. PX headphones incorporate a rechargeable battery pack. When fully charged, and depending on the degree of Bluetooth ,Environment Filter and Voice Pass-through use, the battery pack can provide up to 22 hours use at average volume levels. With built-in sensors, the headphones will switch on immediately and automatically resume playing your music; put them down and they return to stand-by mode. Lift an ear cup to talk, or hang them around your neck, and PX will pause the music, resuming playback when you're ready to listen. PX has three adaptive noise cancelling modes via a companion app for iOS and Android: City allows through traffic noise for safety purposes; Office allows through voices so you can hear colleagues when they talk to you; Flight cancels ambient engine noise. The app also enables firmware updates for additional feature upgrades. The 40mm drive units feature the same angled design found on the P9 (the drivers are the same as the P9's). aptX HD Bluetooth technology for devices that support that standard. 22 hours of playback in wireless noise cancellation mode, 33 hours in wired noise cancellation mode. 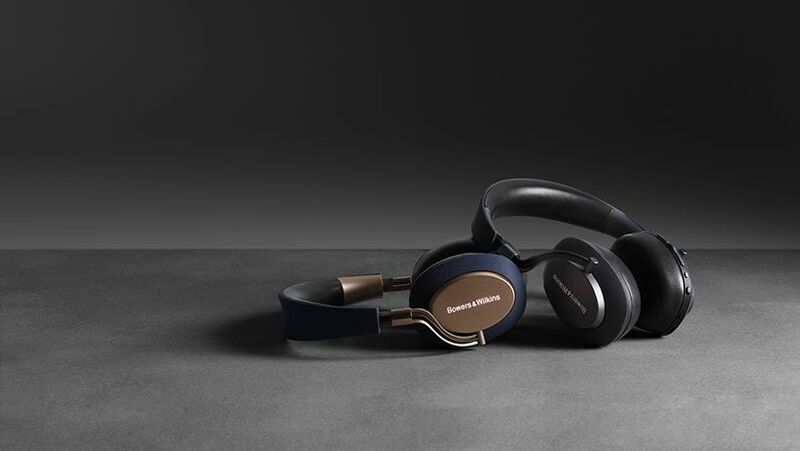 Available in two colour options, space gray and soft gold, the PX has that sleek, sophisticated design that Bowers & Wilkins headphones are known for, with some metal parts and ballistic nylon on its ear cups. "... a fantastic audio package." What Hi-Fi? 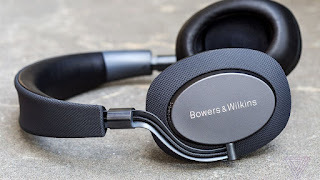 awarded Bowers & Wilkins PX 5 stars out of 5. Needless to say S&I are very excited about the PX headphones. The design is clean and compact, the sound is fantastic and detailed and the noise cancelling is impressive. A win all around. We look forward to showcasing these headphones.